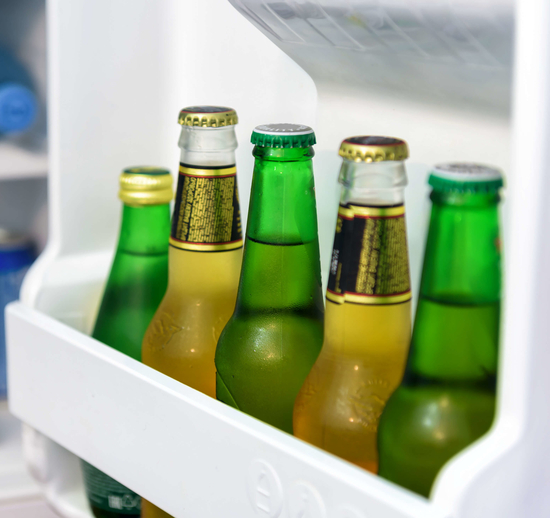 If you are using a fridge, then it is important that you should keep it organized and clean. As having an organized fridge makes it so easy to find the required things or ingredients and make sure that some other item is not just left to rot in some compartment of the fridge. It makes us aware of the foodstuff which is living the last days of its life so we can use it and it does not get wasted. So I am just talking about the idea of taking a few easy steps to make it convenient for you to find things in the fridge. Since fridge is a part of Kitchen, having an organized fridge is important if you want to have an organized kitchen. We will also talk about the best place to keep a particular group of food in the refrigerator. 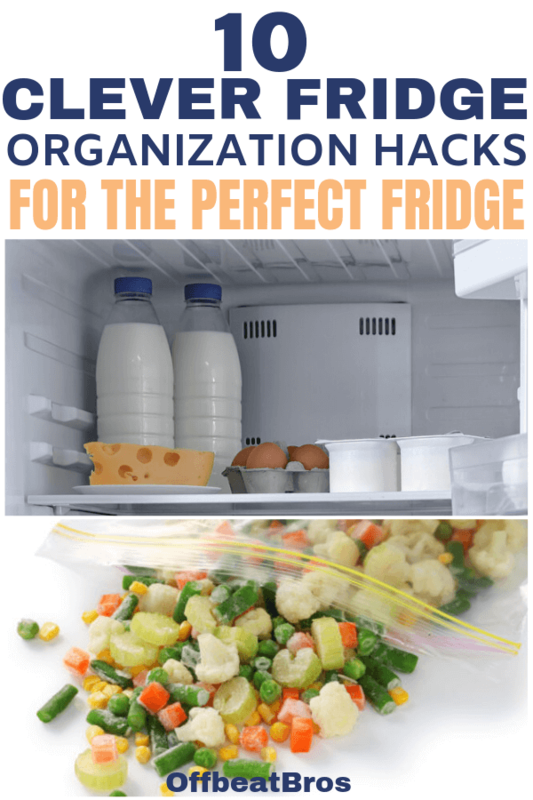 So let’s have a look at the different foodstuffs perfect place in the refrigerator and the easy hacks to keep it organized. 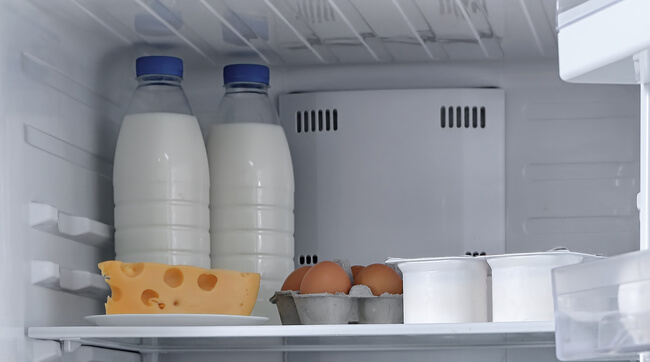 Keep milk, yogurt, and other such liquid dairy products in the backside of the fridge on the lower shelf as they need to be stored at low temperatures as compared to other things. The lower shelves are usually cooler than the upper ones. But it also depends on the refrigerator, some have upper ones cooler like ours in the image above as it has more cooling vents on the top shelve. So check your refrigerator. The conclusion is keeping milk and other liquid dairy products in the coolest part which is the backside on the shelves. You can also keep butter and cheese in front of them or in the topmost rack of the door. If you have two drawers one above the other, use the above one for storing vegetables and fruits and the lower one for keeping the meat. But, if the two drawers are sideways, then there is no problem at all. You can use either drawer for storing any of the two things. 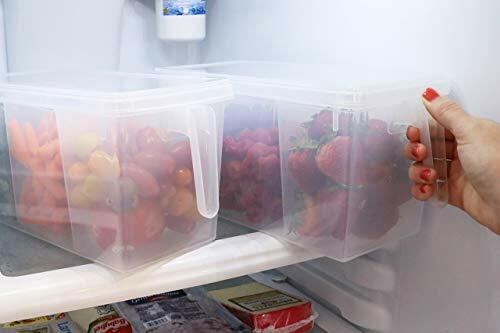 If you are a vegan, you can use them to store fruits and vegetables separately. If you don’t have a drawer, it’s ok. Just make sure you don’t store meat above the veggies as it may contaminate the vegetables. If there is no other option, then put the meat in Ziploc bags and keep it in a plastic container to prevent leakage or drips and then store them in the fridge. You can even keep the meat in the freezer. Non-dairy beverages such as juice, alcohol, cold drinks and other canned beverages can be kept in the door. Unlike milk, these do not require the coolest place of the fridge for storage. You can also store some condiments which require a little cooling in the door shelves. Whenever something spills on the shelves in the fridge, it usually ends up making the entire rack messy and sometimes even the corners. The racks are difficult to clean and their corners are even more difficult when compared. To keep the fridge shelves stain free and keeping it away from getting dirty, use anti-skid fridge liners. 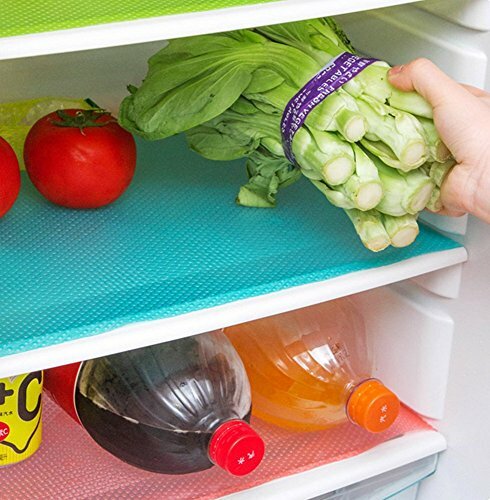 Line the shelves with these fridge liners and then keep the storage stuff on it as usual. Since, the fridge liners are extremely easy to clean, if something spills, just take it out (if necessary), clean it and then place it back. It is so much better than wasting your time cleaning the shelves. It is a hassle when we need to keep more than two water bottles in the fridge for cooling especially when there is a shortage of space. The best solution for this is to use a stackable wine rack to keep many bottles together in the fridge without utilizing a lot of space. Depending on the height, you can keep as many as nine bottles stacked on top of each other. This also comes handy in summer, as by keeping 6-7 bottles water together for cooling you don’t have to worry about filling the bottles again and again. This wine rack will also prevent them from rolling as it has grooves meant for the purpose. A clever solution to keep the bottles, eh! 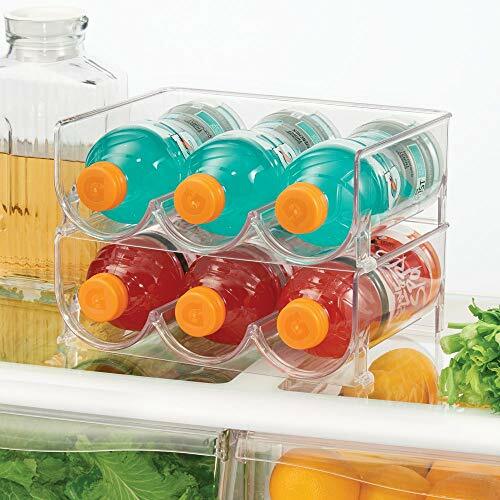 Use fridge containers to keep things organized. Categorize the items and keep like items in the same basket. This is so convenient. Just pull that section of stuff in one quick movement, use and then keep back. You can use different baskets for spices, flour, nuts, and dry fruits, etc and also label the container where you keep them for more ease. Whenever you will take out two or more containers together, you will keep them back at their own place after reading the labels. This will keep the fridge organized and it will be a lot easier for you to locate and access the things you require. You can even label the other areas in the fridge such as the compartments of the door according to the item you keep them. Grab these containers here. Use Ziploc bags for keeping gingers, chilies, some herbs, other such foodstuffs which can rot easily. Storing them in Ziploc bags will make them last longer and also keep them organized. 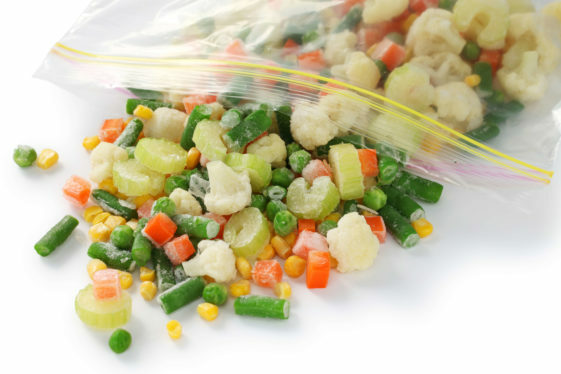 To prevent spillage from open food packets, you can empty them in these Ziploc bags before keeping them in the refrigerator. You can use magazine holders as shelves and use them for storing things in the refrigerator and keeping them organized. Magazine holders are a great way to organize your pantry as well. 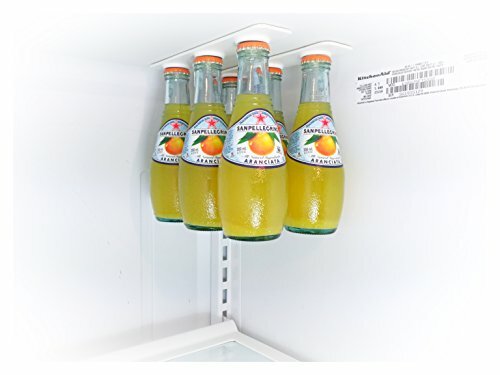 Attach a strong magnetic strip on the ceiling of your fridge and hang bottles with metal caps attracted by a magnet and other such things. This helps in utilizing this space which otherwise is usually left unused. Also, it saves the shelf space which can be utilized by the things which you cannot hang. A similar idea to the previous point. Use the space on the walls of the fridge by using magnetic containers. 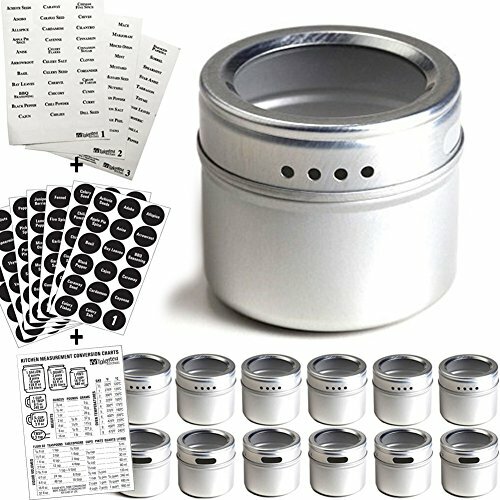 You can buy them from the market or even make your own by sticking magnets on the bottom of the container. This is a great idea for storing seeds, herbs, nuts, any other dry stuff which you need frequently. 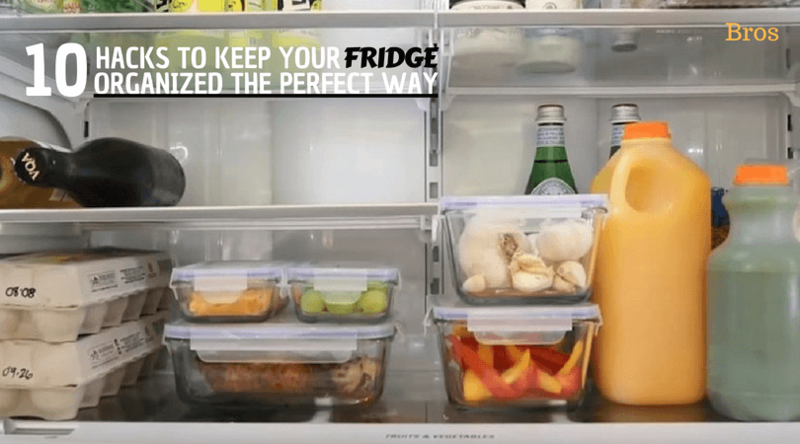 Plus, it frees up space to store more things in the refrigerator. You can get the containers and magnets here! You would also love these Kitchen Organization Ideas to keep your kitchen organized. If you like these hacks, share the post!